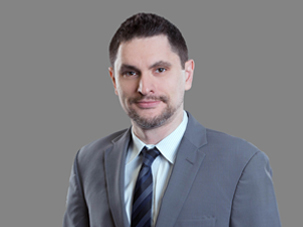 Jason N. Silberberg, Esq., joined Frier Levitt after serving as a Deputy Attorney General in the New Jersey Attorney General’s Office for approximately three and a half years. Having served as a DAG in the Banking & Insurance Section, Jason prosecuted healthcare providers, insurance producers, brokers and insurance carriers for violations of the state Fraud and Producer Acts. In addition, Jason filed numerous amicus curiae briefs on novel questions of law concerning the interpretation of healthcare and insurance related statutes, such as whether the New Jersey Franchise Practices Act applied to the insurance carrier – insurance agent relationship. Jason also advised his client-agency on matters of regulatory compliance on issues ranging from state and federal health care privacy regulations to real estate law. Jason also served as principal counsel to the New Jersey Real Estate Commission. Jason received his Juris Doctorate from the George Washington University Law School, where he was a member of the Moot Court Board.